With the clock ticking and the due date for Esther, the second pig to farrow, rapidly approaching, it was time to rearrange the pig housing. First on the agenda was to move Sissy and the first litter out to the woods where a new pen had been setup on some fresh, clean ground. 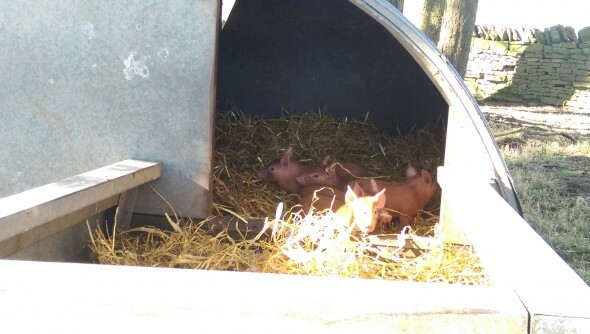 While the move was pretty simple for Sissy, it was a little more traumatic for the piglets (and us) but eventually they were all caught and hand carried round to the new pen. 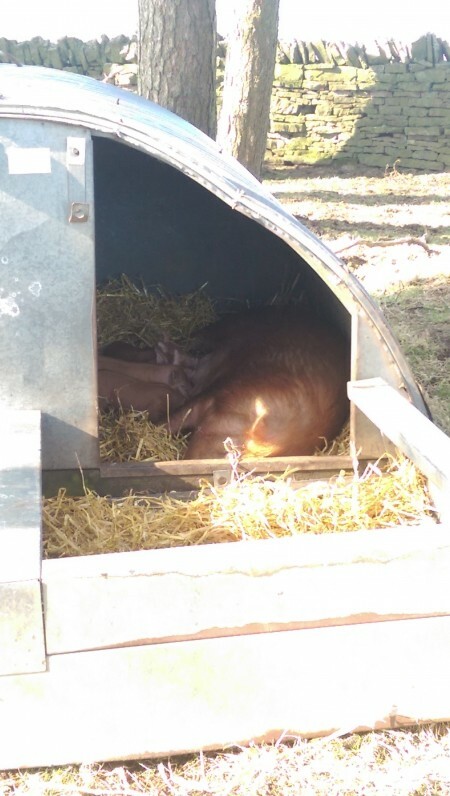 They quickly settled into the pig ark and burrowed around the straw but it took them a little longer to adjust to the outside space they can now access. However on such a nice day I don’t think they were complaining about the chance to get some sun. It wasn’t long before they convinced Sissy that it was feed time again, even though she was enjoying the chance to wander around outside at her leisure. Once this final step was underway and I knew the litter were settled enough to feed, I could finally relax and Sissy continues to prove what a great mother she is. Once everything had settled down in the woods, it was time to clear out the “farrowing shed”. Not the best task but at least the weather was good with a light breeze to take away the worst of the smells! 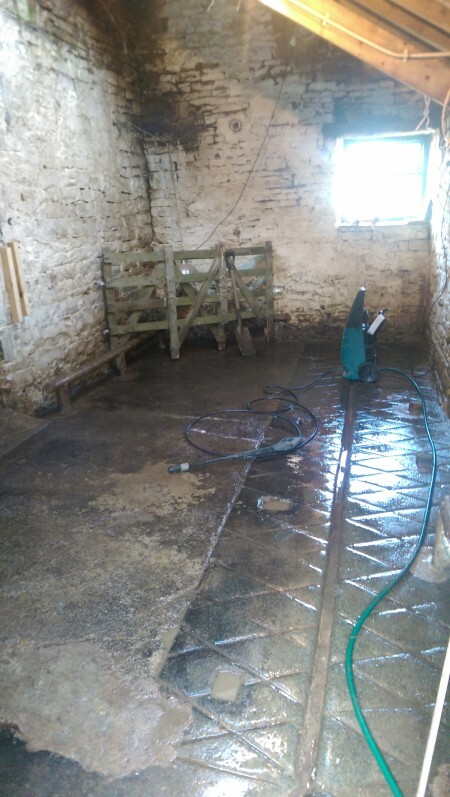 A proper clean out including a full jet wash for the floor and everything was almost ready for Esther, the second pig to farrow. There is just the small matter of a few barrow loads of clean straw to put in there and then she can take up residence. Her first job will no doubt be rearranging all the straw because no matter how nicely I get it set up, it’s never good enough for the pigs!